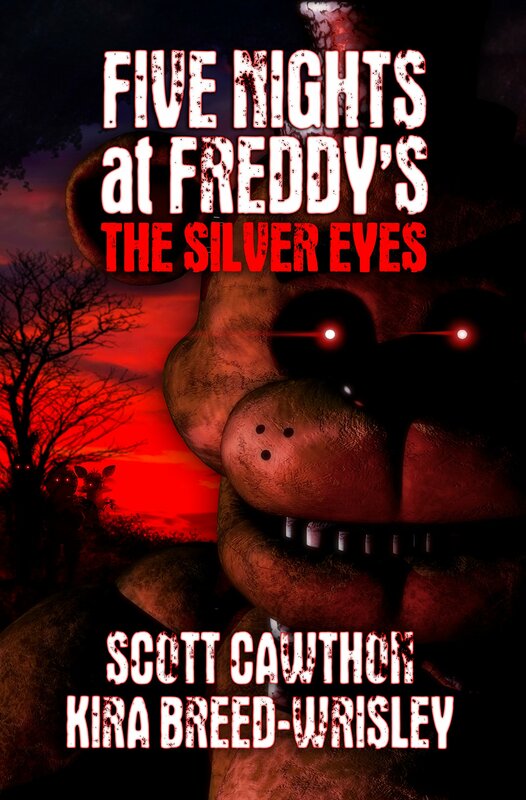 Not only was our client Scott Cawthon’s debut novel, Five Nights at Freddy’s: The Silver Eyes, published by Scholastic in 2016, it has quickly risen to the #1 spot on the New York Times Bestseller list Coauthored with Kevin Anderson & Associates’ very own Kira Breed-Wrisley, Five Nights at Freddy’s: The Silver Eyes expands on the mythos of Scott’s bestselling horror videogame series. Scott and Kira’s rousing narrative and animated pace bring you into Charlie’s world as she returns to her home on the tenth anniversary of Hurricane, Utah’s most gruesome homicide. After the death of her father and her best friend, Charlie fled the small town of Hurricane, hoping never to return. But when Michael’s parents beg her to come back for his memorial, Charlie just can’t say no. After taking a trip down memory lane with some of her old schoolmates, curiosity leads them to investigate the unsolved mysteries of her dad’s old pizza place. They puzzle their way inside, only to discover that Freddy Fazbear’s animatronic mascots, that once delighted them as children, hold dark secrets and a homicidal agenda. The first in a three-book series, with a feature film in the works, Five Night’s at Freddy’s: The Silver Eyes has fans hungry for more. We are so proud of Scott and Kira’s amazing accomplishment and look forward to celebrating many more in the near future. If you’re looking to hire a top-quality ghostwriting or editing service for your next novel or nonfiction book, please contact us to discuss your book and the writing services we can offer.